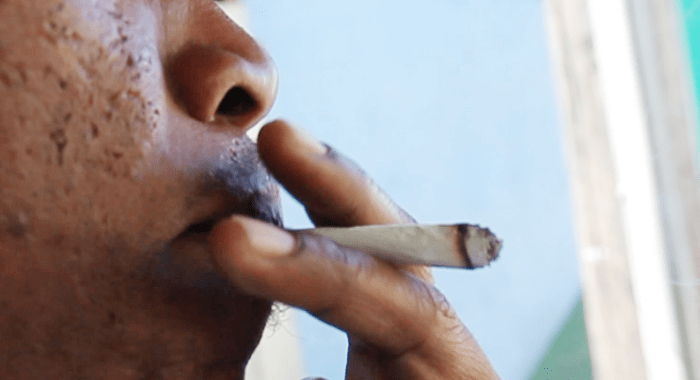 Parliamentary representative for North Leeward, Roland “Patel” Matthews as well as the New Democratic Party’s candidate for South Central Windward, Israel Bruce, have come out in support of the decriminalisation of small quantities of marijuana for recreational use. They made their positions clear during the NDP’s rally in Kingstown on Wednesday, weeks after the party said the Ralph Gonsalves government must ensure that any medical marijuana industry established in St. Vincent and the Grenadines (SVG) benefits citizens. Bruce, a lawyer, said that Member of Parliament for South Central Leeward, Saboto Caesar, also a lawyer, who is also Minister of Agriculture, has his eyes fixed on Rastafarians in Greiggs amidst the marijuana debate. He said that Caesar “is trying now to use the marijuana story to see if he could hoodwink the little boys and the fellas in Greiggs who does draw one now and then,” a reference to recreational use of marijuana. “And he’s trying to create the impression that with the coming on stream or the likely coming on stream of medicinal marijuana, that the marijuana users in Greiggs and other areas, they will thrive and they will do so great under a Saboto Caesar leadership. Bruce said that medicinal marijuana has to be grown under certain phytosanitary standards. “Problem number one,” he said, adding that problem number 2 is that a certain grade of marijuana will be approved for medicinal use. “So hear what. He’s trying to fool the Rastas up in Greiggs, in particular. But hear what I say. I say to my colleagues on the platform tonight, Dr. Godwin Friday, Sister Kay Bacchus Baptiste and others, that Israel Bruce will be supporting recreational use of marijuana. “So that the boys in Greiggs and Lauders and Lowmans, and Chapmans and Diamonds and New Grounds, wherever you are in the constituency, hear this: I am going to support and propose a programme that if you are caught with 10 grammes of marijuana, no police must lock you up. Smoke yo’ one spliff (marijuana cigarette) in peace. So, if you only have 10 grammes, I say like Jamesy P, just ‘puff puff and a pass’,” Bruce said, quoting a popular song released by the soca artiste a few years ago. “I am not saying that you must abuse it. I am not saying that you must disrespect others, but the point I am making to you is that Saboto must not trick you into thinking that marijuana will bring glory to the constituency of South Central Windward. “By the way, if the reason why some people are grabbing lands left, right and centre is for the marijuana programme, tell them think again,” Bruce said. 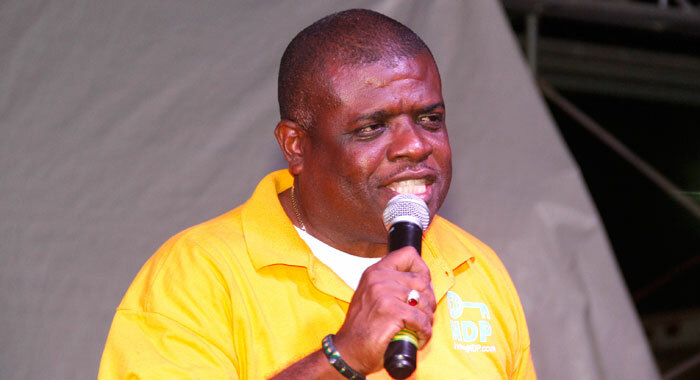 Speaking at the same rally, Matthews, who is into a second term as Parliamentary Representative for North Leeward, said that when in 2010 he defeated physician Jerrol Thompson of the Unity Labour Party, Prime Minister Ralph Gonsalves, who once called Matthews a “yam digger”, said that it was marijuana that cause Matthews to win. “You remember that?” Matthews said that and further said that when the government had its marijuana eradication exercise, Vincy Pac, a few years ago, the prime minister referred to marijuana farmers as vagabonds. Matthews further told the rally that the prime minister had said he would pursue marijuana farmers until they exist no more. “Nowadays, in every facet of the society, in every major civilisation, marijuana and its medicinal value is now coming up for major discussion,” Matthews said, adding that there is big money involved. 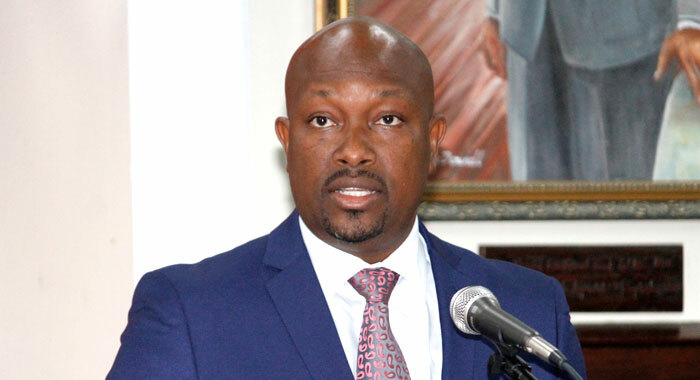 Matthews noted that the government has said that by as early as March, it wants to bring legislation to establish, in SVG, a medical marijuana industry. He said he heard Caesar say that his government was talking to various stakeholders. “If the fellas who go bush … who sacrifice their lives, … and today it is accepted worldwide that monies can be made from medicinal marijuana, why you want to keep out the people who had the industry going? “I want to know why. Why you want to keep them out? Because big money passing? Well, if that is the reason, it is clear that this ULP administration only cares about money and not about you. 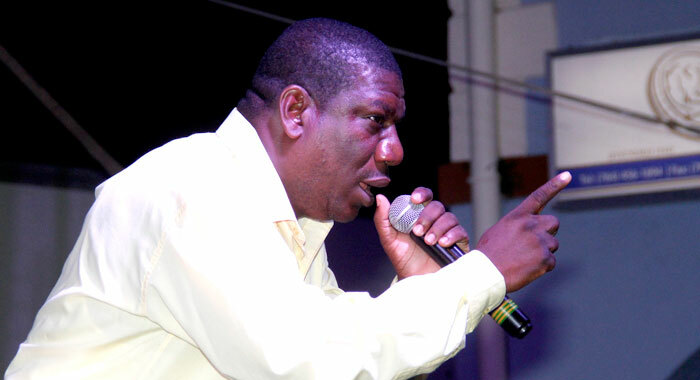 “I want to repeat that: this Unity Labour Party administration, headed by Ralph Gonsalves and including people like Saboto Caesar and the fresh and out-of-place Carlos James, people like dem dey (them), we have to put a stop to that. And that is the reason why I am saying to you tonight the New Democratic Party, we have a position on that. And we are saying we are not supporting a medical marijuana industry without the farmers having a say. Matthews said that marijuana farmers have sacrificed their lives and have lived in the mountains in appalling conditions, exposed to the elements to fuel the illegal demand for the plant. He told the rally that they must benefit from any decriminalisation of marijuana. He said he agrees with Bruce to an extent that small quantities of marijuana should be decriminalised for recreational and religious use although their views on the quantity might not be the same. “Brother Bruce said that we support marijuana for recreational purposes because today, if a man if smoking a spliff or if he is smoking an Empire (cigarette), you can’t tell the difference,” Matthews said, referring to the widespread use of marijuana for recreational purposes. “So, therefore, the NDP says we are supporting recreational marijuana with a limited amount. Brother Bruce said 10 grammes. But I know from some posts me see them man does smoke a Leeward, that is way more than 10 grammes,” Matthews said and used the microphone to mimic the smoking of a large marijuana cigarette. “So, we might differ on the amount but we support at least, some control with the medical marijuana,” Matthews said. “Rastafari, you have been in the vanguard of these things for a very long time. You have argued for and you have made the case that ganja is part of your religious ritual. The NDP says we support that as well, with some guidelines that must be approved to practise their trade and as part of their religious rituals. “So, brothers and sisters, you tell me today when you hear the argument for medicinal marijuana, the New Democratic Party, we have the best plan, because we have looked and we have said to you the people that we believe in giving this thing thorough examination and we said to you that we are going to do something that will benefit all of St. Vincent and the Grenadines as far as ganja is concerned,” Matthews said. Time to legalize instead of dicriminalized, Prohibition goes beyond the bounds of reason in attempt to control man’s appetite through legislation and make crimes of things that are not crimes. A Prohibition law strike a blow at the very principles in which our government was founded. Banning of cannabis began in the early centuries with religious edicts that forbade on pain of death the use of psychoactive plants as spiritual sacraments. The Industrial Revolution went even further by creating a propaganda campaign that turned the world against natural medicines, and by outlawing any plant that can produce a euphoric spiritual effects. As we head into the new century, few things represent the future better than cannabis sativa, an ancient plant that can deliver food, fiber, fuel,medicine,inspiration, and an occasional laugh. Decriminlazation sounds good but we must first band smoking in public places and at public events before we do this. The pervasive use of marijuana in public places have become intolerable. Of the ten (10) english speaking Caribbean countries I have visited Saint Vincent and Jamaica are the only two countries where persons smoke marijuana indiscriminately without any respect for the law and the people around them. Lets move to a ticketing system where you pay a fine for smoking if you are caught by the police. The police needs to focus more on ensuring the law is upheld and stop turning a blind eye on a single spliff. This is very important to protect the young and vulnerable. If you want to smoke you must pay to do so because smoking have serious implications on the individual and the state health care system. My solution is to decriminalize small quantities but move to a ticketing system. One Hundred Dollars ($100) per joint if you are caught by the police. You smoke at your own risk.